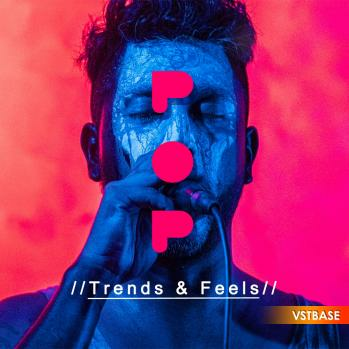 Samplestar are very proud to present Pop Trends & Feels! Pop Trends & Feels is a radio ready collection of construction kits and one-shots inspired by Billboard-topping acts, featuring an eclectic forward thinking mix of ultra-modern progressive pop elements. Combining stunning sound design with melodic urban vibes and lush futuristic instrumentation, this pack is sure to conjure up an array of future hits. All content has been perfectly mixed and eq’d for optimum sonic balance while allowing plenty of extra headroom for further processing and also final mastering stages. • (One-Shot) Samples: 20 x premium on trend one-shot synth and bass samples ready to be fired up in your favourite sampler.